It is in part because of weak laws and enforcement that transnational organized environmental crime is both highly prolfiic and highly profitable. One important way we can combat this criminal enterprise effectively is through stronger laws and effective enforcement. Simultaneously, we also don’t have to wait for stronger laws to act. We can find and use already existing laws and provisions to prosecute environmental crimes. We must have a greater practical understanding on the laws to improve, enforce, and implement under-utilized legislation to combat organised environmental crime – this tool answers those needs. 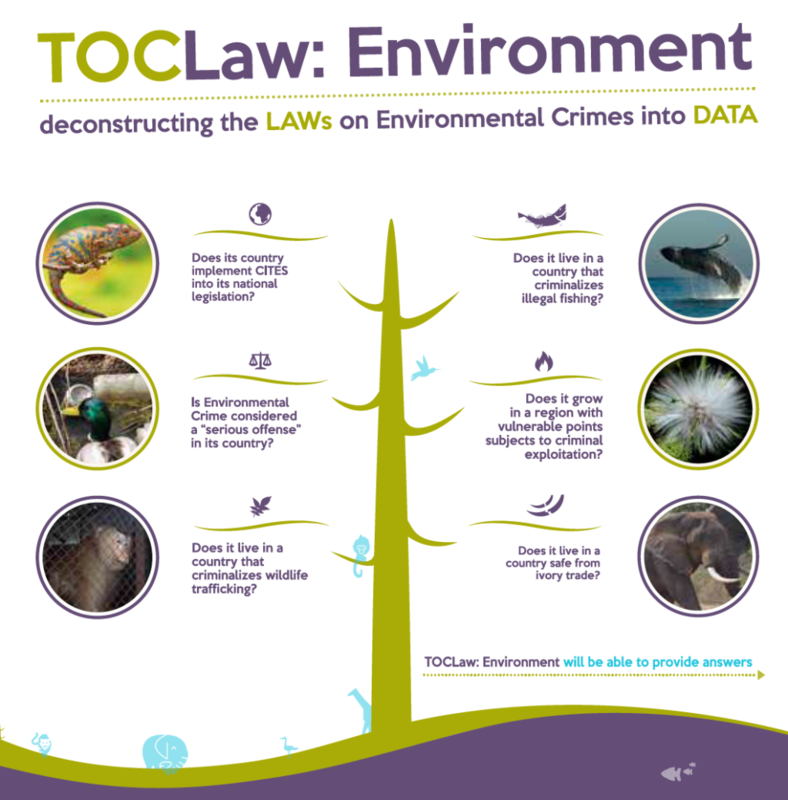 The TOCLaw tool deconstructs law into data, setting the foundation for an unprecedented ability to conduct smart searches within the laws, compare key legal concepts among jurisdictions and assess the quality of legal systems to effectively manage societal challenges. All frameworks are embedded within data visualizations and GIS tools that allow the user to ‘see’ the law, escalating to another level of legal understanding. TOCLaw is a partnership between the Global Initiative and Legal Atlas, an award-winning legal intelligence online platform aimed at revolutionizing the way law is understood and used around the globe.